For those who missed the previous deadline, and also for those who already sent their full papers, it’s possible to submit extended abstracts until April 10. The Sinergie-SIMA conference on “Management and Sustainability: creating shared value in the digital era” will take place at Sapienza University of Rome, Italy, on June 20-21, with a special session on Strategic Communication, endorsed by EUPRERA and organized by our former presidents Emanuele Invernizzi and Ansgar Zerfass. Please follow the general call for papers and the guidelines for the strategic communication session to submit your papers or extended abstracts. Beside the conference publication opportunities, the authors of selected works out of the strategic communication session will be invited to apply for the publication on the International Journal of Strategic Communication. This conference, a gathering of the academic and business worlds with more than 30 years of history behind, also foresees awards and recognitions for the best works, as well as convivial activities in the marvellous surroundings of Rome. 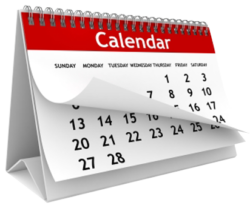 Don’t forget to register before May 15 to benefit of the early bird fees. In A Car with IPR is a new video series recently launched by the Institute for Public Relations. Here we get to know some of the leaders in the public relations industry and find out what makes them tick, talk to them about research, and ask them to look into their crystal ball to see what’s in store for the industry. 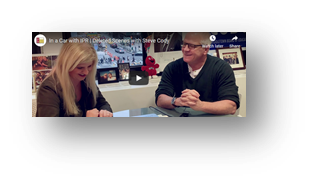 In the second episode, Steve Cody, founder and CEO of Peppercomm, and Tina McCorkindale, IPR President & CEO, walk the streets of New York City and talk about research, the future of PR and more! Researching for the future – Why do we still have a Worker women’s day? Well, I said, as you know there isn’t ‘the richest people day’ or ‘the healthiest people day.’ On the contrary there is a world day of hunger or a world day of rare diseases… because these commemorative dates serve as basis for claiming unrealized rights. And this is the issue I would like to discuss today. 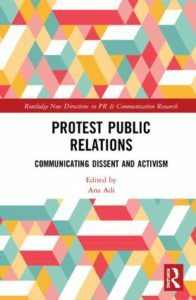 Why should we still talk about women rights in the public relations and communication management fields? Women entered the profession rapidly in the last decades of the twentieth century (Andsager & Hurst, 2005; Grunig, Hon & Toth, 2013) reforming the profession into a field with a majority of female practitioners. Women are not then a minority in our filed, yet although they surpass men in number, still face gender inequality (Place, 2011; Tench, Topic & Moreno, 2018). This is of some concern; because it means that we have majority of workers in the industry facing discrimination. 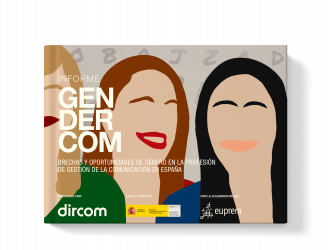 Recently the study Gendercom, organized by Dircom in cooperation with EUPRERA and the support of the Ministry of Labour, Migrations and Social Security of Spain, have brought to light the gender issues in the communication industry in our country. An online survey for The State of Communication in Spain was conducted. Responses from 387 participants were analysed along with some additional questions from 154 respondents of the ECM 2018 (Zerfass, Tench, Verhoeven, Verčič & Moreno, 2018). Majoritarian access of women are met with challenges of a feminized profession. Crystal ceiling remains. Although the number of women surpasses men, their presence dismisses in the highest positions and prevails in the lower. In contrast, seven of ten men hold managerial positions. Salary gap remains, especially in higher managerial positions. Only 11.7% of female CCO’s earn more than 100.000 €, besides more than double of men, 27%, are in the salary range. Salary gap is an important factor of work dissatisfaction for female practitioners. 95.8% of women unsatisfied with their work report an inadequate salary. Work life conflict affects mainly female practitioners with family responsibilities. Less stressed women are the group who enjoy more leisure time and doesn’t have family dependents. 85,7% of women with less leisure time, have dependents. Female practitioners with family dependents show lower levels of work satisfaction. Most men with family dependents are satisfied at work (64%) and most women with dependents are not (69,2%). Female practitioners with family dependents show higher levels of stress. More stressed women are who have family dependents (59,1%). 75% of women with family dependents spend at least from 2 to 6 hours per week working non-paid in their home. The question is whether these conclusions are only applicable to Spain today? Many studies over the world have proved the feminization of the profession (i.e. Yeomans, 2010; Place, 2011) the ceiling glass (i.e. Tench et al., 2017) the salary gap (i.e. Zerfass et al., 2018; Moreno, Tench, Fuentes & Khalil, 2019) and the conflict work-life (Shen &amp; Jian, 2013; Place & Vanderman-Winter, 2017). Further studies are in depth on related factors for these current problems. One of the main problems for gender issues is the denial fallacy. There are still many male and female practitioners that deny gender gaps in the communication management field. Resources and research to evidence the fact is we hold the key in our hands. Let’s keep the discussion going until a future 8th March in which gender inequalities don’t have any place. Andsager, J. L. & Hust, S. J. T. (2005). Differential gender orientation in public relations: Implications for career choices, Public Relations Review, 31, pp. 85–91. Grunig, L. A., Hon, L. C., & Toth, E. L. (2013). Women in public relations: How gender influences practice. New Jersey: Routledge. Moreno, Á., Tench, R., Khalil, N. (2019). 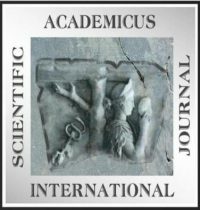 Enemy at the (house) gates: A study about the permanence of gender discrimination in public relations career promotion in Latin America. For publication. Place, K. R. (2011). Power and gender at the crossroads: A qualitative examination of the nexus of power and gender in public relations, PRism, 8(1), pp. 1-13. Shen, H., Jiang, H., Jin, Y. & B. L., Sha (2015). Practitioners’ work-life conflict: A PRSA survey. Public Relations Review 41(4), 415-421. 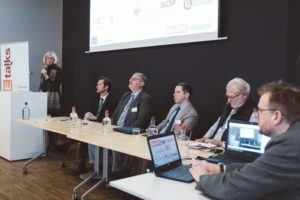 Artevelde University of Applied Sciences (Ghent, Belgium) welcomed the MARPE Network on the occasion of the Erasmus+ MARPE Diplo launch, February 6. The challenging topic -Public Diplomacy and Brexit: are States ignoring the power of Soft Power- definitively inspired the speakers. Nicolas Baygert (Professor at IHECS, ULB, President Protagoras) defined the field focusing on the strategic narrative promoted by public diplomacy, reflecting on how 2016 Brexit referendum was framed, and developing the EU’s public diplomacy efforts during and after the Brexit referendum campaign. On this fertile ground, Alastair McCapra (CEO CIPR) reframed Brexit not as a problem in public diplomacy but as one of public diplomacy, using Brexit to interrogate public diplomacy, and, in particular, to question the assumption of the pre-eminent importance of soft power in the modern world. Pierluigi Puglia (Head of Communication British Embassy in Rome) responded by illustrating the UK discourse in Italy, opening the debate orchestrated by Richard Linning who welcomed several questions from the captive audience. As announced in Aarhus (during the EUPRERA Congress 2018), the MARPE Diplo Talks will be followed by publications.